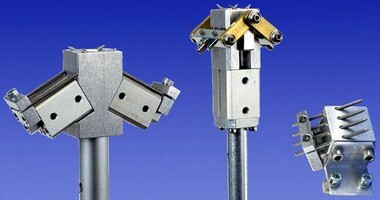 Gripper suits internal and external assembly applications. Needle Grippers feature long-life titanium needles. 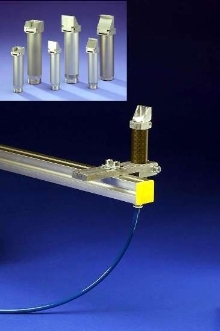 Gripper Arm suits space restricted applications. Spring loaded for part compliance, GEP End Ported Gripper Arm has air line connection directly in line with vacuum cup mounting for use in applications with minimal clearance around target area. Unit is available in diameters of 10, 14, and 20 mm and in 5 lengths from 64-146 mm. Arm can be mounted by clampable shaft or threaded shaft with jam nuts. Gripper Fingers feature carbon fiber bodies. 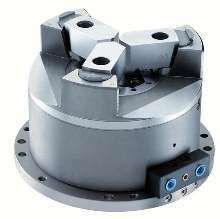 Suited for high-speed production runs requiring lightweight tooling, Series GRF and GRW feature 20 mm clamping diameter and are available with carbon fiber body and aluminum head and connector bottom. Lightweight carbon fiber minimizes weight of shaft and robot wear and tear. Flex of carbon fiber, or strength being measured in modulus of elasticity, is up to 3 times that of aluminum. 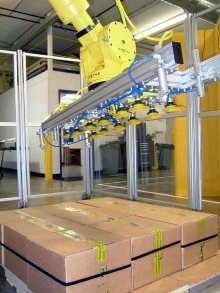 Robotic EOAT targets packaging and palletizing. 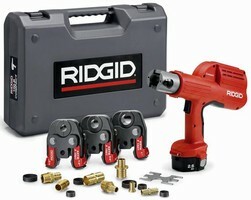 Pull Lock Work Gripper provides part length control. 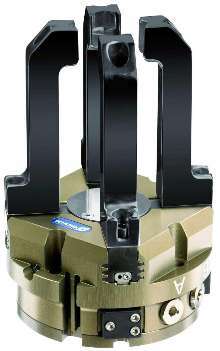 Robotic Gripper Platform is suited for end-of-arm tooling. 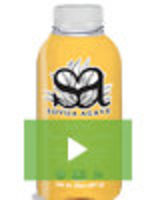 Concentric Grippers utilize 4-finger construction.